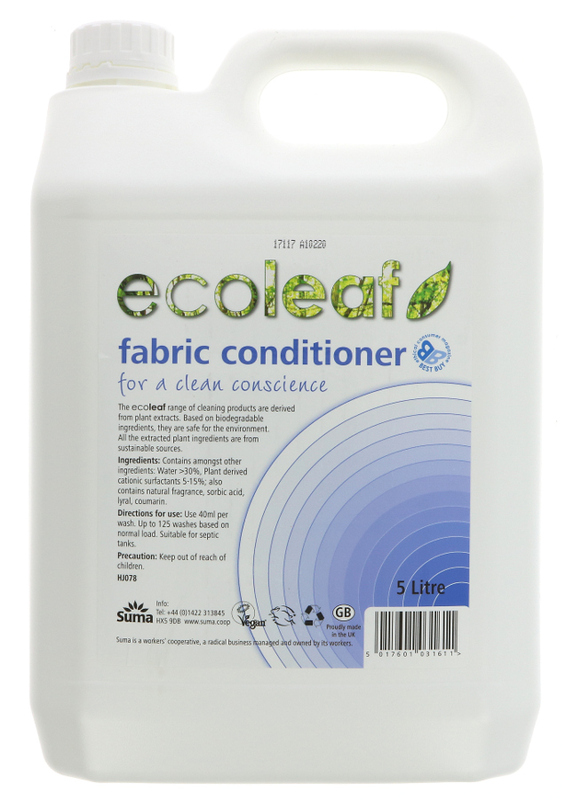 Gentle yet effective Ecoleaf Fabric Conditioner is a natural and environmentally friendly softener derived from plant extracts and based on biodegradable sustainably sourced ingredients. 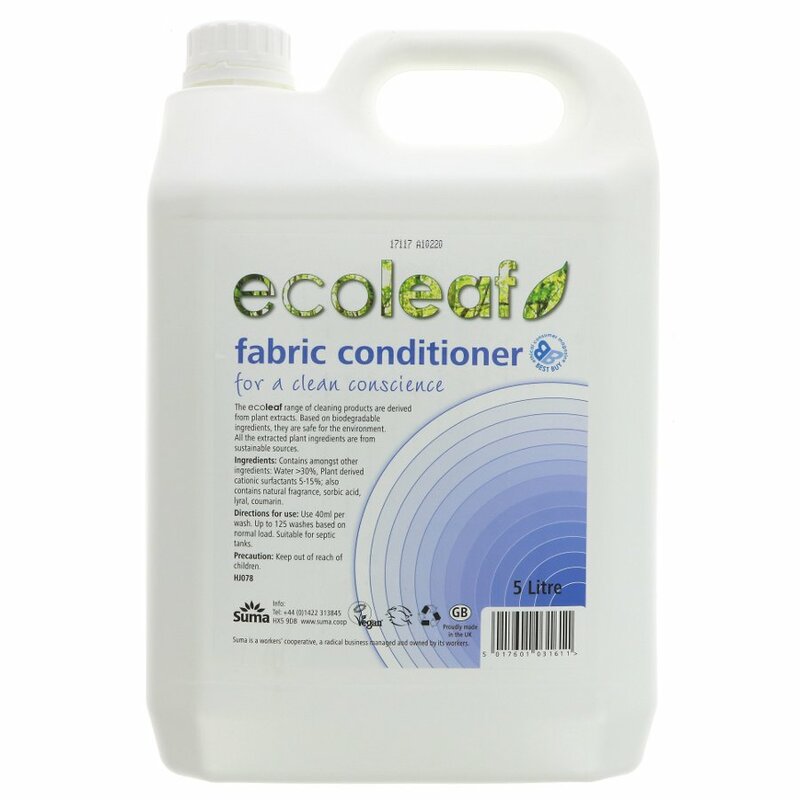 Vegan friendly and brought to you in recyclable bottles Ecoleaf Fabric Conditioner is guaranteed non-toxic and totally chemical free keeping your clothes beautifully and naturally soft and your conscience squeaky clean. Ecoleaf offers the eco-friendly home-owner a unique range of environmentally friendly cleaning products that are effective, non-toxic and kind to Planet Earth. The Ecoleaf range is based on biodegradable and non-hazardous ingredients derived from plant extracts, rather than on the chemicals found in many conventional brands. The whole range boasts the Vegan society logo and is animal-cruelty free. All Ecoleaf products are manufactured in the UK, reducing the company’s carbon footprint. The company only uses recyclable bottles and containers and the great news is that you can buy in bulk to further reduce the need for new bottles to be produced – and all of these wonderful eco-friendly cleaning products are delivered straight to your door.